Birth Name: Charles William Mumy Jr. 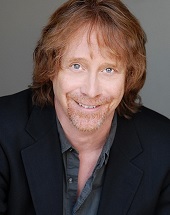 Claim To Fame: Bill Mumy American actor, musician, pitchman, voice actor, and author that came to prominence in the '60s as a child actor that made memorable appearances in The Twilight Zone and Alfred Hitchcock Presents and then landed the iconic three-season role as Will Robinson in the CBS sci-fi series Lost in Space. Family Life: Mumy, his wife, Eileen (married in October 1986), and their two children, Seth and Liliana, live in Laurel Canyon, Los Angeles. Info: Last name is pronounced "Moomy" not "Mummy". Credits Jonathan Harris as his favorite acting mentor/best friend. Co-authored a 2015 book, Lost (and Found) in Space with Angela Cartwright. Mumy and co-author Peter David published the short story, "The Black '59" (1992), in the anthology Shock Rock, edited by F. Paul Wilson. Trivia: Performed with Robert Haimer as "Barnes & Barnes", recording the hit novelty song "Fish Heads" in 1978. It is one of the most requested song in the history of the Dr. Demento Show. His various musical credits include songs he has written and recorded with America, performed on tour with Shaun Cassidy, and played with Rick Springfield's band in the film Hard to Hold. He created the band The Be Five with other Babylon 5 actors. Wrote a screenplay back in the late 1970s in which the "Lost in Space" (1965) family would have found their way back to Earth. 20th Century Fox was committed to the project, but series creator Irwin Allen wasn't interested in reviving the series. The plan dissolved completely after the death of space patriarch Guy Williams in 1989. Was the original choice to play "Eddie Munster," in the cult 1960s TV series "Munsters, The" (1964). However, his parents did not approve of the makeup young Bill would have to wear for the role; they turned it down. Butch Patrick ended up playing the part. Today, Patrick and Mumy are very good friends and sometimes collaborate on music. Bill has hosted and narrated several documentaries and specials for A&E, Animal Planet, The Sy-Fy Channel and E Entertainment. His voice over acting talents can be heard on animated shows like "Ren and Stimpy", "Scooby Doo", "Batman: the Animated Series", "Steven Spielberg's Animaniacs", "Little Wizard Adventures", "The Oz Kids" and Disney’s "Buzz Lightyear: Star Command". He also voices dozens of national commercials such as "Farmer's Insurance" "Ford", "Bud Ice", "Blockbuster", "Twix", and "MacDonald's". 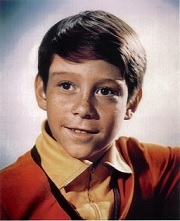 Where Are They Now: Along with continuing his acting, voice-over work, and music, Mumy still attends sci-fi conventions, and he even had a recent cameo on the Lost in Space reboot series on Netflix.